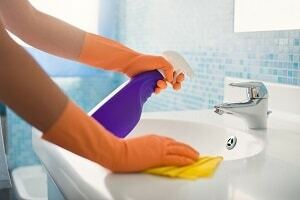 Professional Home & Office Cleaning Services In Nairobi, Kenya. Enter Details And Get The Best. Free Quotes. What type of property do you want to clean? Do you have a carpet? What type of cleaning services do you need for the carpet? Does the cleaner have to provide cleaning supplies and materials? At Famio Services, We believe that a clean and well-maintained environment is vital to everyone. That’s why we always strive to provide the smartest and most effective home & office cleaning services to our clients, both private and public sectors. Through our cleaning solutions, you can rightly expect the very best in term of quality and cost-effectiveness. A cleaning company in Nairobi, Kenya with professional and outstanding services at your door to take care of all the mess in your premises. Our domestic & commercial cleaning services are fully trained and qualified to meet your requirements. Whether you need our cleaning solutions for your office, house, factory, restaurant, hotel, building, specific cleaning or any Home & Office Maintenance Services, we got it. Tell us what you need. Within hours, you will receive free quotes. You can also contact us directly and we’ll be happy to assist you. When it comes to the smartest cleaning company in Nairobi, Kenya, then Famio is your best partner. With Famio home improvement services, it is 100% satisfaction guarantee.